• Space-saving Design leaves room in your shop or garage. 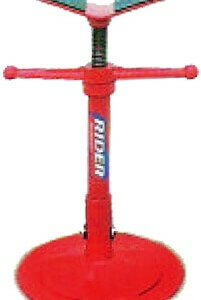 • 2-3/4” Low Lift Height fits under most low profile customs and choppers. • Infinite Height Adjustment up to a maximum of 30”. 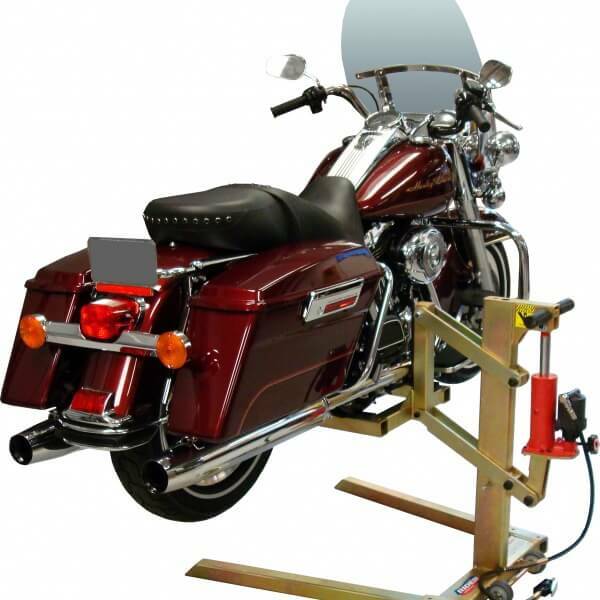 • Two Locking Height Positions for storing the motorcycle on the lift for extended lengths of time. 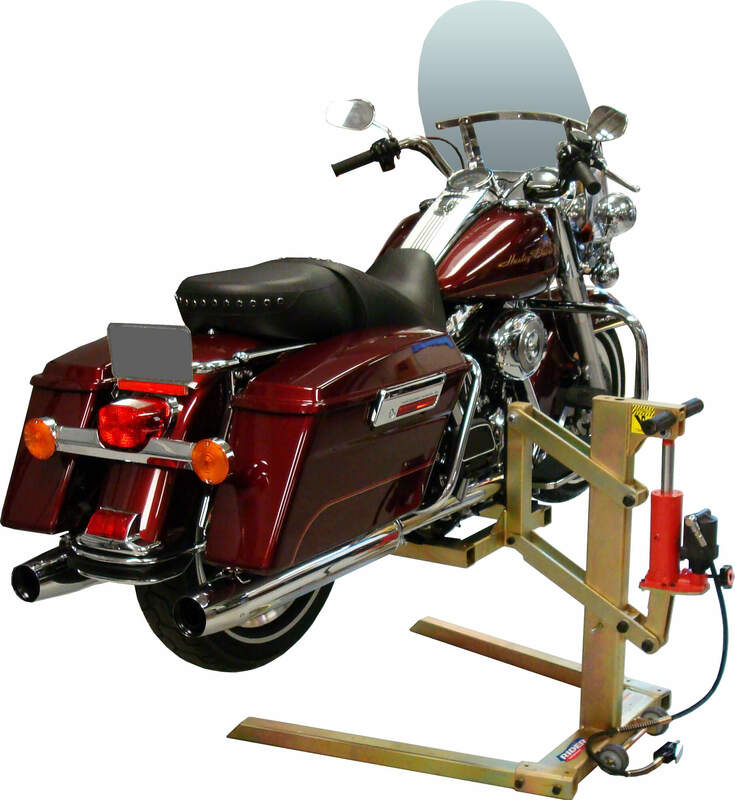 • Four Premium Quality Tie-Downs provide a quick and easy way to secure the motorcycle to the lift arms. • Patented Lift Design includes a manually operated bottle jack as an integrated part of the linkage which raises or lowers the lift arms. • Safety Release Knob provides slow controlled lowering of load. 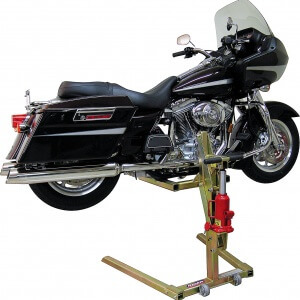 • Rubber Pads on lift arms prevent slippage while providing cushioning to protect painted and chromed frames. • Composite Wheels and “T” Handle for maneuverability in a shop or garage environment. The lift is not designed to move with a mounted motorcycle.